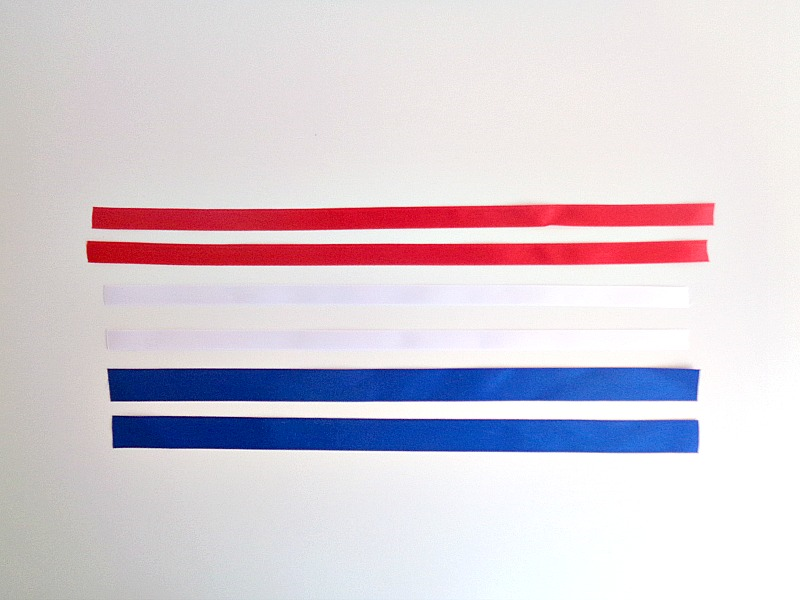 Making decorations for the 4th of July does not have to be complicated or expensive! To prove this idea, I will be showing you how to make a simple DIY with materials that you most likely have in your craft supply stash. 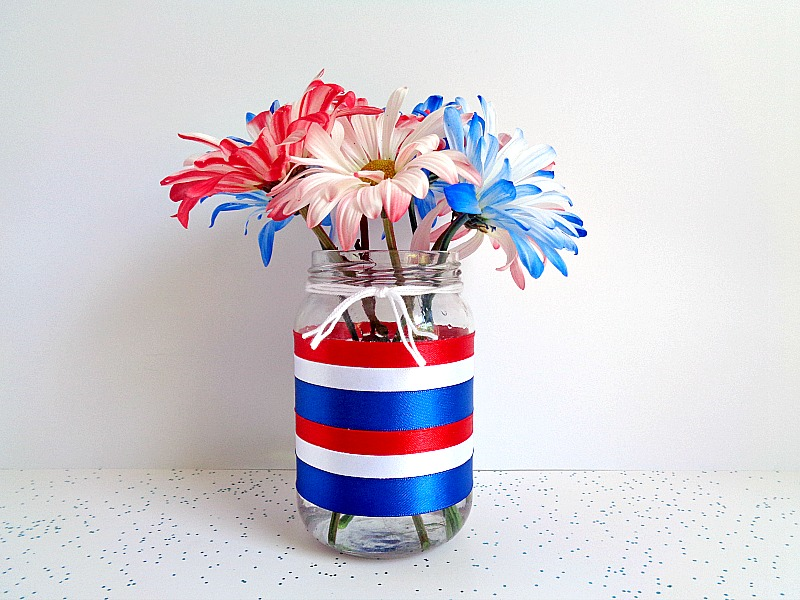 Specifically, today's project will be a 4th of July Jar which can be used to hold flowers, hold utensil during the barbecue, or hold anything else that floats your boat. In addition, today's project is a 3 Step DIY which always makes life so much easier! 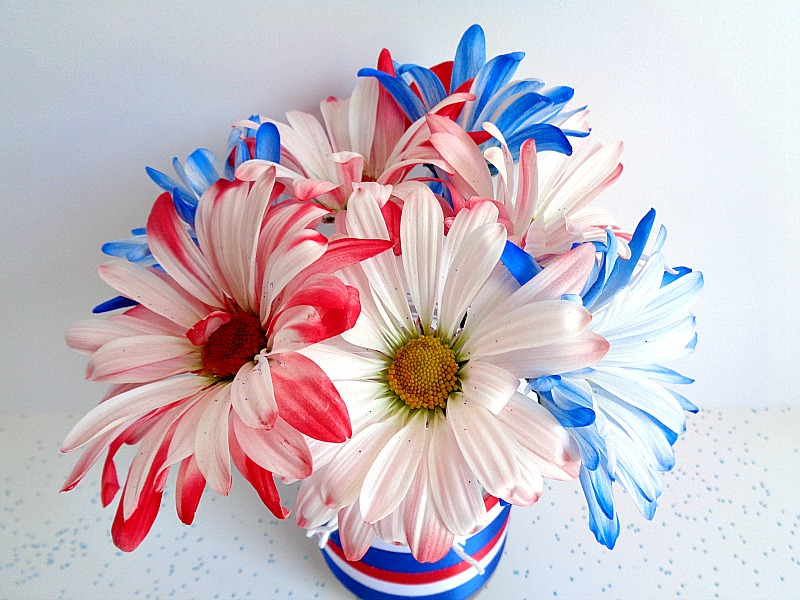 So, if you want to learn how to make your own 4th of July Jar, keep reading below! 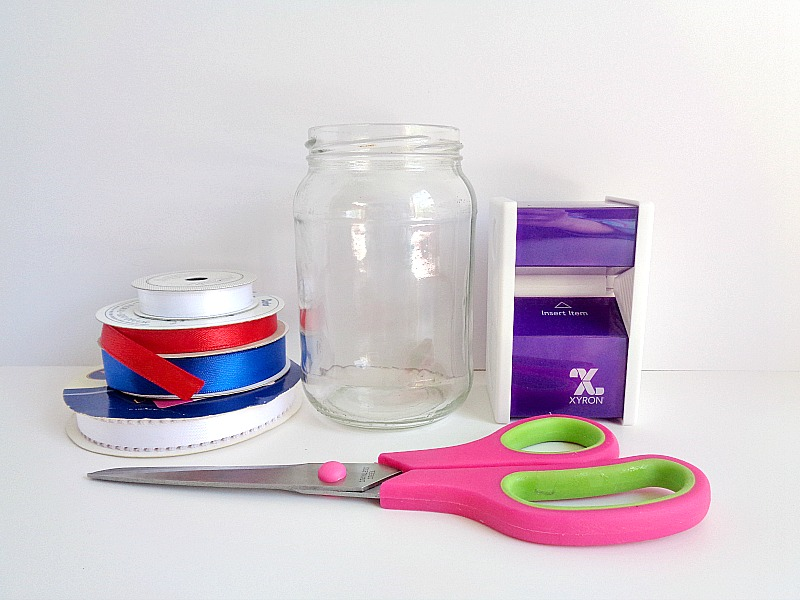 Step 1: Cut pieces of ribbon that will fit around your jar. Depending on the look you are going for, you can cut as many pieces of ribbon that you like. 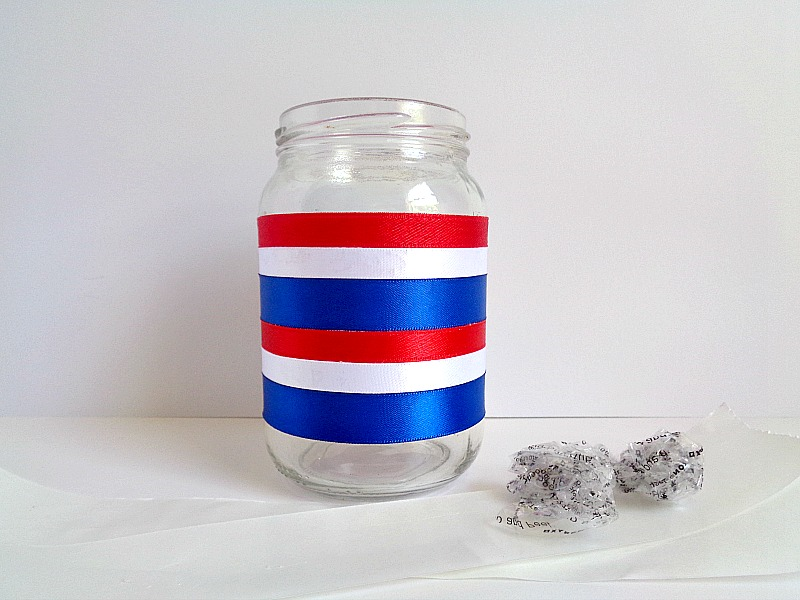 For my jar, I ended up cutting 2 pieces of red, white, and blue ribbon. Step 2: Now take your ribbon pieces and run them through your Xyron 1.5'' Disposable Sticker Maker. Keep repeating this process until all your pieces of ribbon have been run through the Xyron 1.5'' Disposable Sticker Maker. Step 3: Once you have run the ribbon through the Xyron 1.5'' Disposable Sticker Maker, rub the top of the sticker paper. Then peel the ribbon off the sticker paper and wrap it around your jar. Keep repeating this process until all your pieces of ribbon have been added to your jar. When all of your pieces of ribbon has been added to your jar, you're ready to fill it and display it on your table! I loved how this project turned out and I think it looks really cute as a vase! 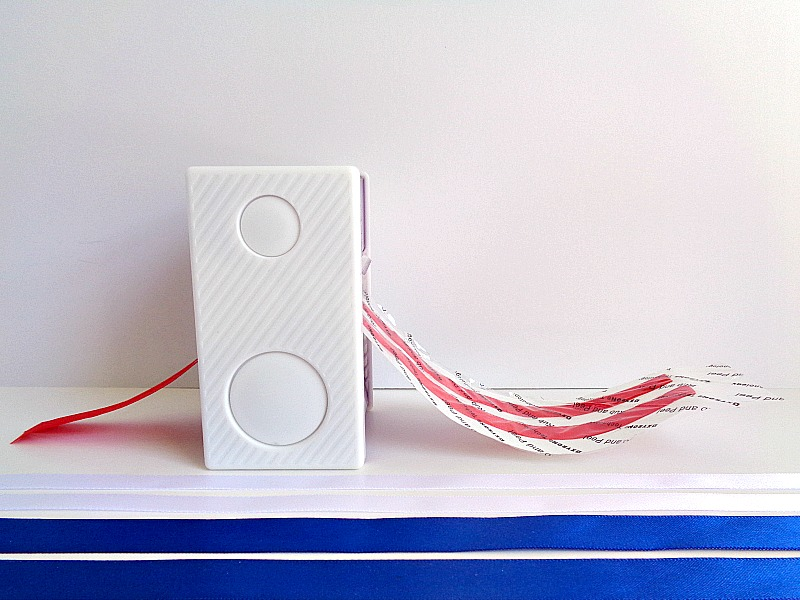 Now, you can probably guess, that this project does not have to be used solely for the 4th of July. For example, this project could be used as wedding decor or be made during Christmas to hold something like candy canes. Overall, you can really have fun using this technique to decorate jars for all types of occasions! So, what do you think? 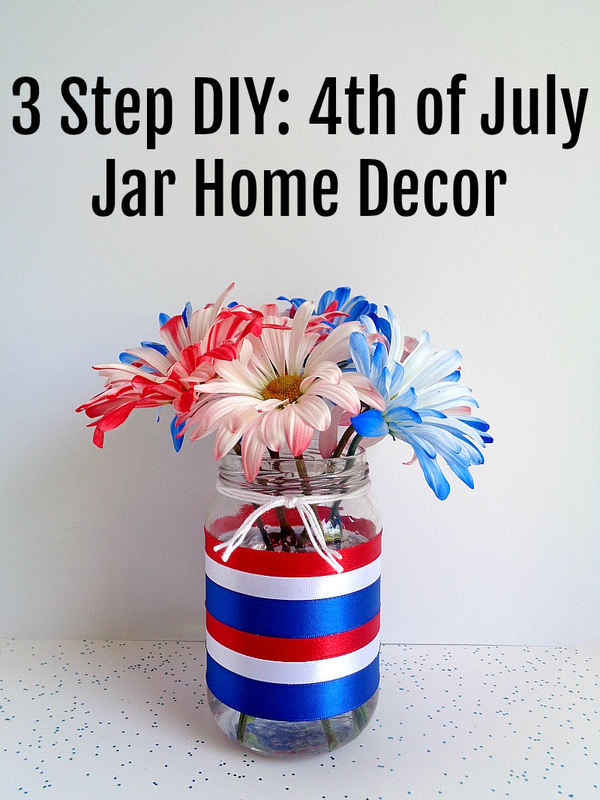 Do you like this 4th of July Jar Home Decor?